As per Client Requirement We Lunched a MCX Commodity Crude Oil Profit Sharing Calls. It’s a Understanding Between Trader and Crude Operator Company where trader have to agree to share some profit to the Organization. 30% Profit sharing you have to share from client profit. For example, ( if you earn Rs. 20,000/- then you have to pay crude operator Rs. 6000/- as profit sharing charges to continue next service. Every weekly client have to pay sharing. Minimum you have to trade in MCX Crude Oil 4 Lot. Our calls will be 75% to 80% accuracy. Call will offer by direct Mobile SMS and Whatsapp Alert. MCX Crude Oil Profit-sharing Calls is 100% Intraday Tips. MCX Crude Oil Profit Sharing Tips is Single Stop Loss Single Target Calls. 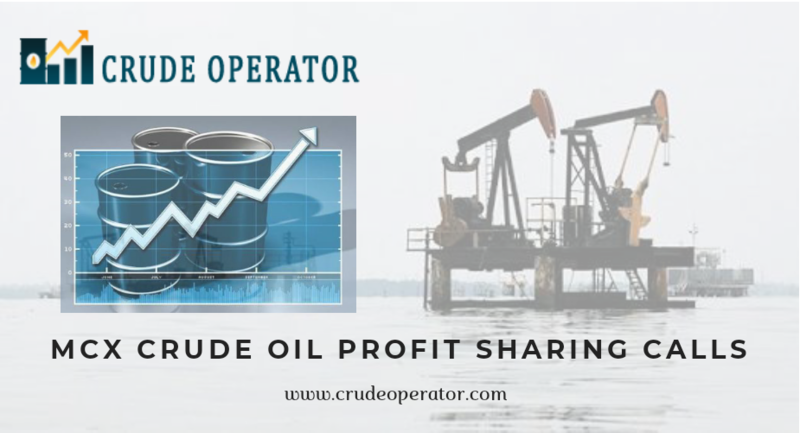 Only Crude Operator is Best profit sharing plan advisory in India.